(NOTE: Make sure your War3 is currently closed before clicking on “Watch!”). 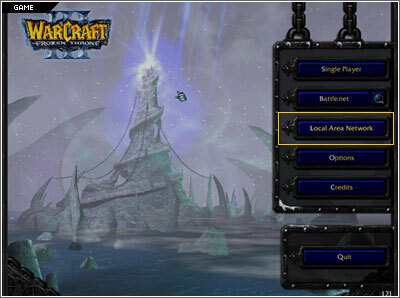 After Warcraft 3 has successfully loaded, go to the “Local Area Network” (LAN) section of the game. In the LAN lobby, you will be able to see the game you chose to watch in Garena TV. Join in the game and it will automatically start. Enjoy the LIVE match! To view the full list of games on Garena TV, you need to launch Garena first. (NOTE: You will not receive any system broadcast notifications for games that has already started or finished or not LIVE broadcasted). Click on the “GGTV!! !” button located in the Garena Quick Link Buttons area. The Garena TV Channels Window will be opened. 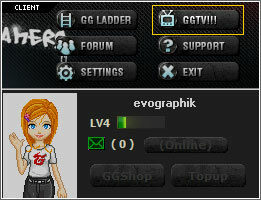 First, select the channel by clicking on the icon or name of the channel in the left panel. 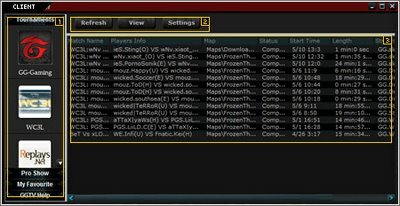 Then a full list of available matches under the channel will be shown, click on the “Match Name” and then click on the “View” button to load Warcraft 3 â€“ The Frozen Throne. In the LAN lobby, you will be able to see the game you chose to watch in Garena TV. Join in the game and it will automatically start. Enjoy the action! â€¢ /rate: number (rate the match from integer 1 to 5). E.g., 5 for â€˜very goodâ€™, 1 for â€˜poorâ€™. i am unable to see the games when i click lan. maybe my version is wrong? what version do ggtv matches usually use? yeah. I am also unable to see the games when I click lan. why is that happening? Wat’ in tornation is goin’ on here. i can’t even se a thing. is that how you people treat good fella gg peoplez?.. now go and fix that problem!